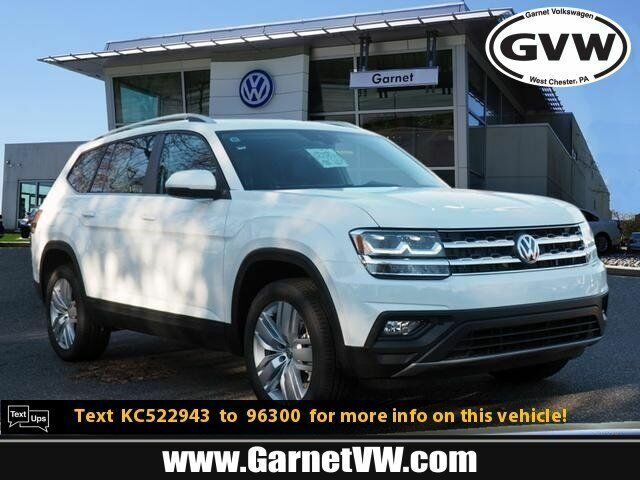 Equipped with a rear air conditioning, push button start, remote starter, backup camera, blind spot sensors, Bluetooth, braking assist, dual climate control, hill start assist, and stability control, this 2019 Volkswagen Atlas V6 SE 4Motion is a must for smart drivers everywhere. It has a 6 Cylinder engine. We've got it for $41,539. With a crash test rating of 5 out of 5 stars, everyone can feel secure. Exhibiting a dazzling white exterior and a titan black interior, this vehicle won't be on the market for long. Interested? Call today and schedule a test drive!